Ensures the perfect balance between hydration and nutrition. 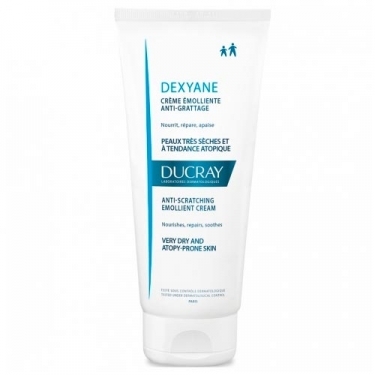 DESCRIPTION: Dexyane Crème Émolliente Anti-Grattage from Ducray is a soothing moisturizing cream for very dry and atopic skin. 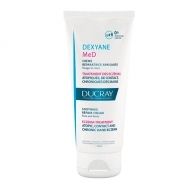 This cream softens the irritations due to dry skin. Nourishes, repairs and effectively softens your skin. Its comforting and non-sticky texture ensures the perfect balance between hydration and nutrition. It is ideal for very dry and atopic skin. Dermatologically tested. Hypoallergenic and does not block the pores. No parabens, no fragrances. Contains in its formulation: Hydroxyleucine, shea butter. Can be used by children from 3 years on.